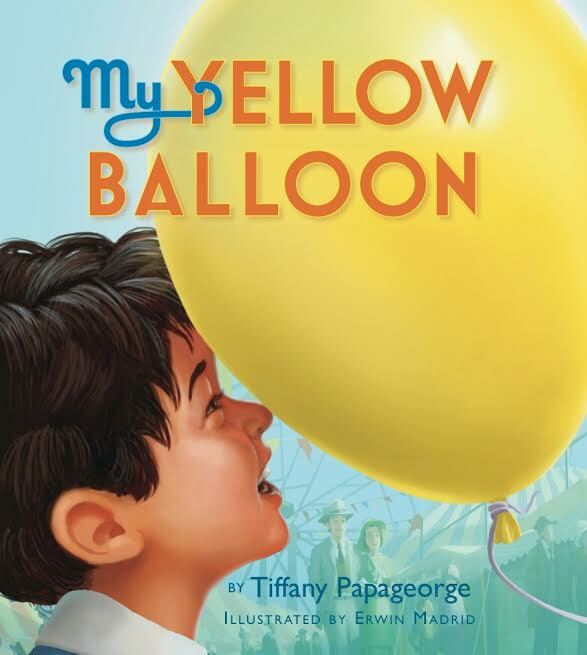 Today I have a fantastic guest post from Tiffany Papageorge, author of My Yellow Balloon, about children and the fatherless Father’s Day. Before we get to that, a little background: Father’s Day was always a weird time for me. My dad was alive until I was 29, but I rarely saw him. He wasn’t a major part of my life growing up. He popped in from time to time. When I was 17, he showed up to my graduation and really did try harder to create a relationship with me. Still, we were never close. When he died, I mourned the loss of what I never had and what would now never be rather than the loss of my actual father, if that makes sense. I was fortunate on Father’s Day because I had an amazing grandfather who took over the role as “father figure” in my life. Yes, Father’s Day made me sad, especially when I tried to pick out a card to send to my own dad. They don’t really make cards that say “hey, I don’t really know you, but thanks for contributing to half of my genetics!” My grandfather, on the other hand, it took an hour for me to find just the right card, and another hour to add my own words to it! Many kids, including my own son, are missing their fathers on Father’s Day for one reason or another. Let’s see what Tiffany has to say about helping kids cope on a Fatherless Father’s Day. The rest of this post belongs to her. There must be people who are living the Hallmark card sentiments on Father’s Day, but not all of us are living that same sentiment. There are many children who are fatherless and others who are what I call “near fatherless.” For these children, Father’s Day can be confusing and painful. Whether a child’s father is gone due to being deceased, divorced, abandonment, deployment, deportment, illness, or incarceration, Father’s Day can really be a tough day to navigate. Children can end up feeling excluded on this holiday, as if they are standing on the outside looking in at something monumental. So, what can we do to help? It’s time to take back our holidays, traditions, and rituals. It’s time to mold them, reclaim them, and make them into what best serves your own family. Just because someone said that June is the day for fathers doesn’t mean that you need to emphasize it the way everyone else does if it doesn’t feel right. Instead, aim to make that day meaningful in your own way… one that you look forward to instead of dread. You can honor fathers or you don’t have to. You may, if your child’s father has died, want to do something that their father would have loved to do with them on that day. If their father has been deployed, perhaps you could still do something he loves to do with the kids and send their father pictures of the kids enjoying his favorite activity in his honor. If their father is alive but not present, start a new tradition by doing something new with your children that none of you have ever done before. Some ideas could be: camping out in the back yard (think s’mores, stories, and stars overhead), taking them out to a ball game (don’t forget the peanuts and crackerjacks), or going horseback riding. Any fun, new, and unexpected activity has the power to spark a new tradition, therefore creating memories that serve your unique family. Lastly, we must acknowledge and recognize that not having a father around, for whatever reason, is a lifelong loss that leaves a profound void. Every loss must be allowed to be grieved, and try to remember that grieving has no time limit. You don’t need to force a conversation about dad with your child. A gentle invitation from them or you is all that you need to open the door. When the conversation does arise, don’t be afraid of it. Aim to create a safe, open, and sacred space for your child’s words (and, yes, tears) to flow. Witnessing our children’s pain can hurt so much more than our own. It isn’t easy to step back and let it be without trying to fix it or save them from their pain, but we must let them fully experience the depth of their own feelings. Whether they are feeling the pain of the loss all of the time, most of the time, a lot of the time, or just some of the time, through our unconditional love and presence they will find healing. Together, as a family, we will get through Father’s Day and whatever else might cross our paths creating our own rituals, honoring our feelings, and loving one another no matter what. Tiffany Papageorge is an author, speaker and works with parents, teachers and mental health professionals whose mission is to find new ways to reach, capture and engage children who are dealing with the issue of loss. 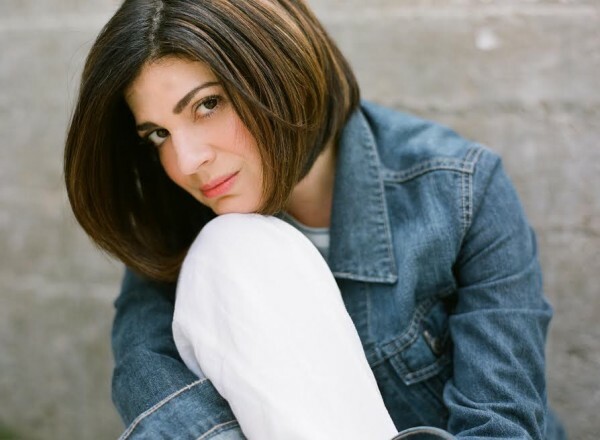 Her extensive theater background spans a 25-year period, and includes work with CBS, Disney and The Sundance Institute. Tiffany holds an MFA from the American Conservatory Theater. She is a member of the Healing Story Alliance, the National Storytelling Network, SCBWI, and SAG-Aftra and has spoken for such prestigious organizations and events as Head Start, The National Alliance of Grieving Children and throughout Pennsylvania for Children’s Grief Awareness Day, to name a few. The multi-award-winning My Yellow Balloon is her first picture book and was recently featured on the cover of Foreword Reviews. Learn more about Papageorge at and My Yellow Balloon at www.myyellowballoon.com and connect on Facebook, Twitter and LinkedIn. My Yellow Balloon can be purchased from Amazon, Barnesandnoble.com, Booksamillion.com, Chinaberry.com and through all major booksellers. That has to be so hard as a child to not have a father to celebrate Father’s Day with. I’m glad there are books like this out there to help children cope.